Universities in the United States often bring to mind school spirit, frat parties and caffeine-fueled late nights studying at the library. I was not expecting the same situation in Belarusian universities, but I did hope for some semblance of a college lifestyle. What I found was a somewhat bleak network of university buildings filled with students and teachers alike who expressed disappointment with the educational system and methodology of teaching. Despite their reservations, the students were bright and motivated to learn. I found myself wondering how and why a system that earned so little trust from its participants managed to be so successful in teaching its students what they needed to know. As a Fulbright English Teaching Assistant, I was assigned to work at the Belarusian State Economic University to serve the English teaching faculties as a reference for native English language and American culture. I worked mostly with the departments of International Business Communication and Tourism and Hospitality Management, where I presented lectures on American life, facilitated communication activities, and taught a class on English reading skills. Getting acquainted with my students was the first challenge; some of them had never met a foreigner before, let alone a native English speaker who also happened to speak some Russian. When I introduced myself to the classes the students who, before class, had seemed so garrulous were at a loss for words and had trouble working up the courage to ask me questions. Over time, they warmed up to me, but they still skipped class frequently (some groups only had two or three students attending class each week) and rarely did their homework. Though it was discouraging, I realised after some time that this was just one of the idiosyncrasies of Belarusian student culture. My understanding of Belarusian student life became clear through my full immersion in the environment. Belarusian students enter the university by passing state-run exams in three subjects that determine their eligibility to enter various departments in the public universities. Once they enter their university and their department, there is virtually no flexibility in changing courses or studying topics outside their curriculum. They have their classes with the same group of approximately eighty students for the entirety of their five years in the university. Because the government values the statistic that labels Belarus the most educated of the former Soviet republics, most of the adult population of Belarus is literate (99.6% according to the UNDP’s 2013 Human Development Report). Furthermore, there is ample opportunity for Belarusians to study free of charge at the public universities, on one condition: that they complete two years of “service” in their field as assigned by the Belarusian government after graduating. Some of my friends and younger colleagues expressed their plan to get out of the field of education as soon as their assignment was over, because it is nearly impossible to live on the salaries that teachers earn, even at the university level. Such systems seemed reminiscent of Soviet times to me, yet I could not help but feel a bit envious that the government paid so much attention to recent university graduates, something that doesn’t happen in the United States. During the spring semester, in an effort to get to know my students better on a personal level, I implemented a tool that I called “Lunch with Monika” (coincidentally, this is also the name of my personal blog), where I would meet with my students outside the classroom to eat lunch, drink coffee, or simply to take a walk and talk. It was during such sessions that I learned about my students’ dreams and plans. Some of them already worked (which is why many of them did not manage to come to class), and, as third year students ranging in age from 18 to 22, were reconsidering their plans for life. Because most of them were on scholarships, they were on track to finish their studies and to complete their post-graduation assigned service work, but were already taking part-time courses at private technology firms or language schools to develop skills that would be useful in spheres other than hospitality management. In essence, the students, while unhappy with the university system, decided that it was worth it to finish their studies because they weren’t paying for the diploma that they would eventually get. They supplemented their studies and satisfied their curiosity by engaging in other educational pursuits outside of the university. Some students even tried to start their assigned service work early, so that they could cut short their duty to the government. Against all odds my students were motivated to learn and bright enough to pursue what they wanted to. Many of my students communicated in English impeccably, having started their study of the language in early childhood. They reached out to native speakers through the Internet, and some had even traveled abroad through programs like Summer Work and Travel. It was their own initiative, and not their commitment to their university studies, that predicted their success. In some cases, this motivation exceeded the amount of patience that the students had. Fearing their Belarusian degrees would be worthless in other countries, several of my students expressed their desire to leave the university system altogether, abandoning their studies to travel abroad or to pursue work. Some students sought ways to become eligible for European citizenships or long-term visas, hoping to enter a “real” university beyond the borders of Belarus. Alternative educational institutions, such as the European Humanities University in Vilnius, Lithuania, welcome such students to study in Europe, but at a price higher than they would pay in Belarus, and with the occasional bit of trouble from the border patrol officers. On the one hand, the university system in Belarus left much to be desired. Due to low salaries and scarcity of materials (one printer shared between twenty teachers and a constant shortage of chalk) at the university itself, teachers were often unmotivated, and this lack of enthusiasm was passed on to the students. On the other, the students who managed to work through these difficulties and maintained a strong sense of drive and motivation could identify the university’s weaknesses. The deficiencies of the system motivated these students to succeed, and, as long as they keep that perspective, there is hope that Belarus will make some progressive changes to its current educational system. Monika was a Fulbright scholar teaching in Belarus in 2012-2013. Recently, Belarusian authorities released political prisoner Aliaksandr Frantskevich. Eastern Europe Studies Centre published its Civil Society Forum program entitled Eastern Partnership Reality Check, as one of the official events to take place at the Vilnius Summit. Belarus ranks last in the Media Freedom Index among Eastern Partnership countries. Belarusian governmental institutions hinder the process of providing information to journalists, the Belarusian Association of Journalists informs. Several interesting events for women also took place. Photo project Without Borders plans to show mothers in wheelchairs. Women in Hrodna have a chance to participate in the school to become a “Lady Leader”. Vitsebsk Women’s Club invites people to take part in their training on gender advocacy. Rating of Closed Institutions. The Belarusian Association of Journalists (BAJ) conducted a survey of its members regarding access to information from government institutions and rated them by degree of openness of information. As a result, more than 46% of journalists had problems getting information from the Ministry of Health; 40% – the Ministry of Agriculture, and 33% – the Committee for State Security. To end this inhibiting practice, BAJ forwarded the related official requests to more than 40 government ministries, departments and agencies. Civil Society EaP Reality Check in Vilnius. On 27-29 November in Vilnius, Lithuania, the Civil Society Conference Eastern Partnership Reality Check: Political Challenges and Future Agenda for Civil Society will be held. It is an official event sponsored by the Lithuanian Presidency of the EU Council and will take place on the eve of the 3rd EaP Summit. Organized by the Eastern Europe Studies Centre (EESC), the conference will bring together civil society leaders from the EaP countries and the EU, key NGO experts, think-tanks, as well as international aid agencies and political foundations. “Mova ci Kava” launches its second season. In September after the summer break, Minsk and Moscow will host courses of study for the Belarusian language “Mova ci Kava” (Language or Coffee). The second season in Minsk will start on 16 September at gallery “Ў”. The courses are free of charge lessons, a project initiated by journalist Katerina Kibalchich. 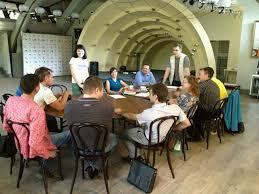 Last year the Minsk classes were attended by up to 120 people. Media Freedom in EaP countries. On 6 September on the eve of the International Day of Solidarity of Journalists, BAJ announced the results of a pilot Index of Media Freedom in Eastern Partnership countries. Namely, the most favourable conditions for the media exist in Georgia, while Belarus takes last place out of the six countries. The finalized report was prepared by Internews-Ukraine under the EU project “Monitoring of Freedom of Speech in the East Region of the European Neighbourhood Policy”. Training on gender advocacy. The Vitebsk Women’s Club NGO invites representatives of Vitebsk and Mogilev CSOs to take part in the training “Advocacy on Gender Legislation,” which will be held on 21-22 September in Vitsebsk. The organisers cover all related costs. Source: belngo.info newsletter. Lady Leader in Hrodna. On 12-15 September women of Hrodna of 22-35 years are invited to participate in the fall school “Lady Leader”. The School provides a series of trainings on strengthening one’s leadership capacity, the basics of communication, time management, and learning the art of presentation. After graduating participants will have the opportunity to take part in organising charitable and social activities in Hrodna. Photo project “Maternity without borders.” Republican Association of Wheelchair Users is looking for moms to participate in a photo project “Motherhood without borders!” The photographic project aims to discuss the lives of women in wheelchairs, who were not afraid of difficulties and gave birth to a child. After the participants will be recruited and they will work with a professional photographer. The project results will be exhibited in one Minsk’s galleries. “Civil Control” takes the regions under protection. On 4 September in Minsk, independent trade union REP and non-profit institution “Innovation Platform” announced a joint campaign “Civil Control”. The new public campaign will be apolitical and aims to address the problems of the regions. According to the campaign initiators, the traditional activities of human rights and political organizations are concentrated in Minsk while no one solves problematic issues in the regions. Belarusian HRH looking for volunteers. Belarusian Human Rights House in Vilnius invites individuals to join to a team of volunteer-interns and is looking for civically minded people who are ready to dedicate their time and efforts to volunteer work and are interested in gaining experience. The work is unpaid, but provides opportunities for participating in Belarusian and international projects, seminars and lectures. Six Arguments against Death Penalty-2. The second part of the film “Six Arguments against Death Penalty” by film producer Viktar Tratsiakou appeared on the web recently. Aleh Alkayeu, who used to be the head of the remand prison No.1 in Minsk in 1996-2001, discusses the specifics of the activities and the psychological state of the people who are executed after receiving death sentences. The film was prepared within the framework of the campaign “Human Rights Defenders against the Death Penalty in Belarus”. Political prisoner Aliaksandr Frantskevich released from jail. On 3 September the political prisoner Aliaksandr Frantskevich was released from the Ivatsevichy colony. In September 2010, he was arrested as part of the “case of anarchists” and later sentenced to three years of imprisonment. According to the Human Right Centre Viasna, ten more political prisoners remain in prison. Commenting on the release of Dzmitry Dashkevich and Aliaksandr Frantskevich, the press-secretary of the EU’s High Representative of the Union for Foreign Affairs and Security Policy Catherine Ashton, Maya Kochiyanchich highlighted that the EU calls on Belarus to immediately release and rehabilitate all political prisoners. 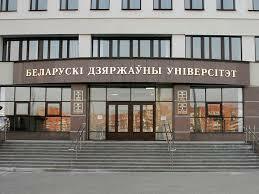 Status of the Belarusian language defended in the court . Blogger Gleb Labadzenka won the case in court Frunze district of Minsk – a Director of district communal services was fined of 500 thousand rubles (about $55) for refusing to answer in Belarusian in an official letter. Some Russian media commented on the case as if “in Belarus they had the first conviction for the use of the Russian language“. Independent Council for urban development proposed to establish in Minsk. The idea to establish an independent Advisory Council for urban development has been articulated by the initiative “Minsk City Association of Local Initiatives.” The organisation plans to integrate active citizens who oppose the seal construction, the defenders of green zones, etc. The appeal for establishing a Council was signed by more than 50 people and forwarded on September 3 to the Head of Minsk city executive committee. Organisational support for the new initiative is provided by “European Perspective”.